Well Braghi's out of it...they've married with Starkey and Starkey is sticking with the traditional hearing aid style for those with serious deafness issues. Not our space meaning we have zero competition in the mild to moderate hearing loss range with our IQ Boosts and upcoming IQ Max. 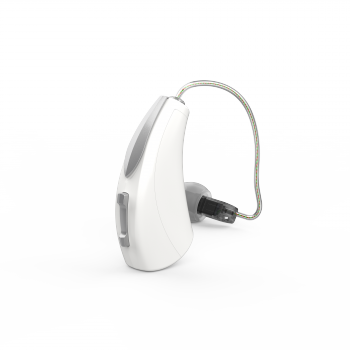 Above article links in with their 2019 CES debuted hearing aid. Also I've been a bit perplexed about the Max dynamic driver as opposed to the IQbuds/Boost balanced apperture drivers. Mentioned I thought it might be because of the higher chip capacity...not an engineer...but looks like they've come up with a software solution...now whether that's because of the added processing capacity or not...don't know...but sounds proprietary to me. "IQbuds MAX optimizes a 12-band wide dynamic range compression system for hearing augmentation"
Actually to any new investors (and revered longs) if you read these 3 articles I think it helps people distinguish the purpose of NUH versus the audiologist's. Serious deafness is audiologist's exclusive stomping ground whereas everything below and on the way there is NUH's market. It's not the whole story and pray do your DYOR new investors but from a long's perspective I found some nice value in the above links. So recommend giving em' a bash. Last update - 15.38pm 25/04/2019 (20 minute delay) ? Last updated 15.23pm 25/04/2019 (live) ?